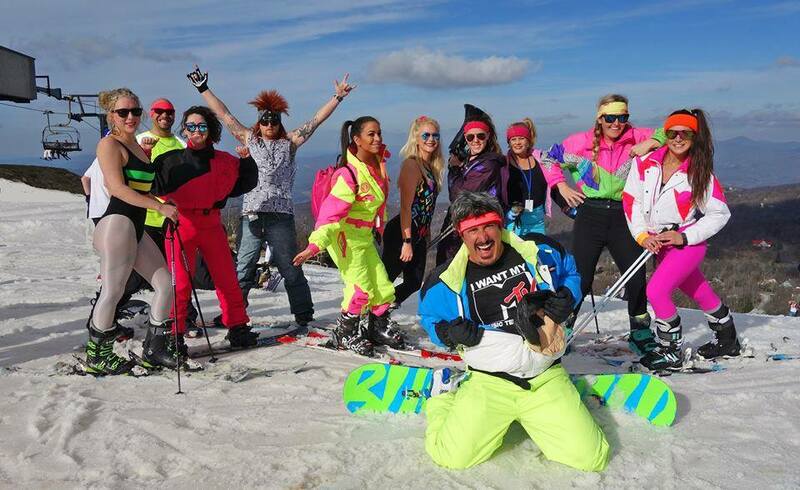 Each February, the town of Beech Mountain and Beech Mountain Resort come together to create a righteously rad celebration of all things ‘80s. The eighth annual Retro ’80s Weekend takes place February 21-24, 2019 – live ’80s music nightly, retro skiing daily, and plenty of throwback activities in between. Hop in our “ski slope time machine” to revisit the New Wave era of big hair, leg warmers, and Members Only jackets. This years line up of events is looking to be totally radical.